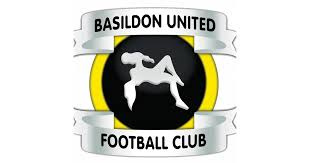 Basildon United have had a magnificent start to their first season in the Bostik League, winning their first seven matches- and despite a blip recently which culminated in yesterday's 4-0 defeat to Bowers & Pitsea still sit in second place. But whatever happens during the rest of the season it will happen under new leadership, as manager Marc Harrison has resigned. More on this story once we have it. Bostik to Bostik transfers week ending 3rd November 2018  A bumper crop of internal moves!